The plugins shortcodes and widgets use defaults so you can be up and running quickly. However almost all can be customised. 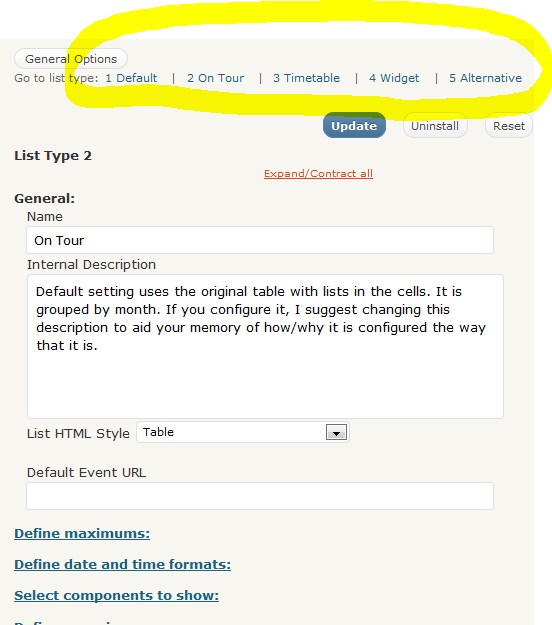 Others are being added as preset combinations of settings to make your life easy! See shortcodes. If only the shortcode is entered, then the plugin will use the default listtype. To access a different list type, the listtype parameter is required in the shortcode. You can even do this in the widget! There is a sample set of list types provided. You can create as many listtypes as you like (Yes Really – go crazy! ), to explore ideas without having to reconfigure each time. Testing them is really simple: instead of having to change the page or post each time, you can use the url query string. 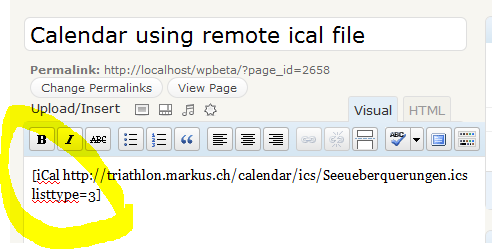 Create your calendar page, with the shortcode. See all the parameters that you can use in the shortcode or in the query url – click here.